It can be difficult to understand and navigate the laser eye surgery market without investing many hours into research or lots of money into visiting Ophthalmologists to understand your surgical options. One of the most recent advancements in laser eye treatment is newest third generation SMILE laser eye treatment. Find out why SMILE is so great but why the tried and trusted method, all laser LASIK, is still a worthy contender. We started with PRK… but we’re not here to discuss PRK. This post is all about LASIK and SMILE. From the image above, you can see how each procedure is performed and you might think, ‘SMILE looks easier, like there are less steps involved’. You are correct. SMILE laser eye treatment only involves the use of one laser. Our VisuMax Femtosecond is the most current technology topping the laser market and the SMILE procedure can be done using this laser alone. LASIK on the other hand, requires the use of 2 different lasers. A combination of the VisuMax Femtosecond and the Wavelight Allegretto. The first step is to create the flap in the cornea, the second step is to lift the flap and to reshape the corneal tissue below the flap. 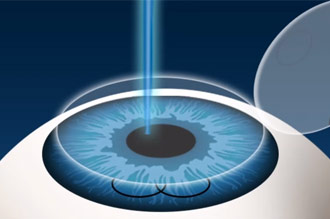 Removing this microscopic amount of tissue allows the light entering your eye to hit the correct point at the back of your eye (see diagram to the right). SMILE operates under the same law, removing corneal tissue to reshape the eye. This in turn corrects your vision. It is just done slightly differently, creating a lenticule within the corneal layers. The lenticule is then removed via a tiny laser incision on the surface of the eye. You are NOT suitable for SMILE if you are LONG SIGHTED! At Laser Sight in Perth, Dr Graham Furness will perform a full eye health check and visual assessment before making a recommendation for surgery. He will advise what you are suitable for and what your outcome will be; not only short term, but long term. SMILE uses less energy meaning less post-operative dryness. Dry eyes are a common side effect which can last anywhere from 1 week to 6 months following your surgery. This method means that your doctor can reduce the amount of time you are using lubricating eye drops. It also means that the thousands of patients that suffer with dry eyes caused by contact lenses, environment, medication etc, can now have surgery with less risk of long term dryness. No flap means no flap complication risks! Unlike LASIK, there is no flap present in SMILE laser eye surgery. Refer to above image if you’re not too sure about flaps! With LASIK surgery, there is risk present related to the flap that is created in the corneal tissue with the laser. Not many, but they’re there. 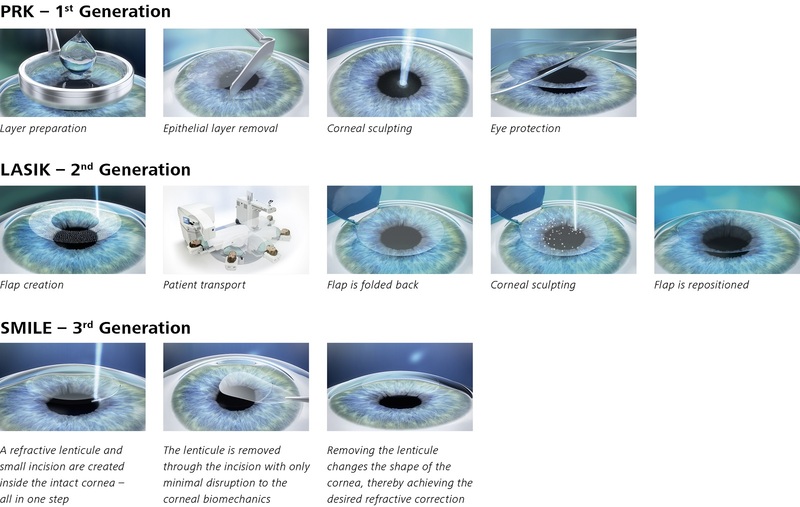 By getting rid of the need for a corneal flap, the experts have reduced the risks when having SMILE. 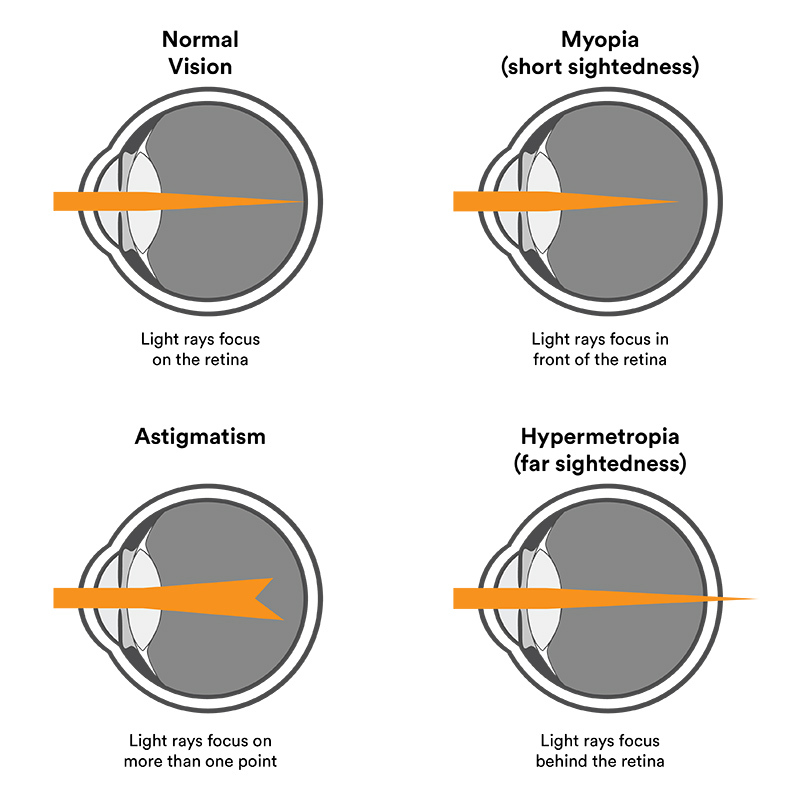 As mentioned earlier, you cannot have SMILE if you are long-sighted and for those patients with long-sight, LASIK is recommended if you meet the criteria at your consultation with Dr Furness. LASIK is a fantastic method for correcting short sight, long sight and astigmatism. Some patients might prefer this laser option because of its longer track record or maybe because they have a family member or a friend who is very happy with their outcome from LASIK. As far as results go, we have found that the visual results achieved with SMILE are on par with those of LASIK. Both procedures will give you fantastic results! Regardless of what you are recommended by your doctor, it is good to choose a doctor that can offer a variety of surgical options and who has lots of experience and a fantastic track record. We recommend you do your research and ask lots of questions. At Laser Sight in Perth, we are always more than happy to answer any questions you have related to your eyes and your surgery.